Clockspot is the leading time and attendance tracking service, trusted by thousands of businesses. Very easy to use interface, effective admin tools, reliable system. 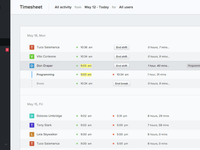 Pros: Simple and effective time tracking tool for our office employees. User set up and management is very easy. Needs infrequent updates, saving us time and hassle. 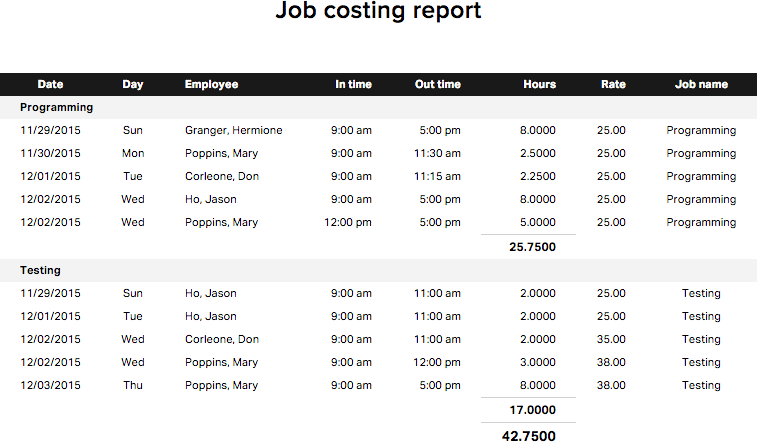 Employees enjoy being able to view their own timestamps and track their log ins. 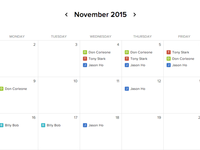 Cons: The scheduling tool is ineffective and difficult to use and administer. The edit request function is usable but not transparent on the user side. It is at times difficult to manage from the admin side as well. Seems to only be able to use one time zone, so satellite offices in different states are sometimes confused. 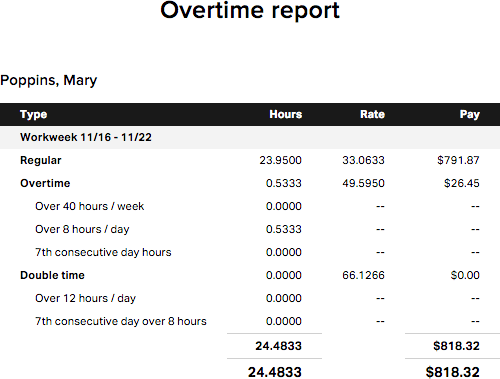 Overall: This time tracking software enables us to track and manage our office employees time in a simple, user friendly way, as well as providing a visual for the employees themselves. Pros: Not only does this act as a time sheet, but you are able to get real data to track how long certain projects and tasks take to complete and it removes the guess work. Cons: I am a secretary and it is tedious to change tasks every time you move to something else. Overall: I've worked as a secretary at a counseling center. We grew from a small one provider, one office business to a large business with 40 employees and over 5 locations. In the process of that growth we received a new manager who came in to help reorganize and build infrastructure so we could actually handle that type of growth. Clockspot was one of the ways used to help. We were able to track in great detail the time spend on tasks and evaluate what tasks need to be done. This data was used to restructure our support & billing staff and to show us areas of weakness, leading us to greater efficiency in our business. Pros: Easy to use for the end user with very little steps involved. They can even clock in remotely if allowed. 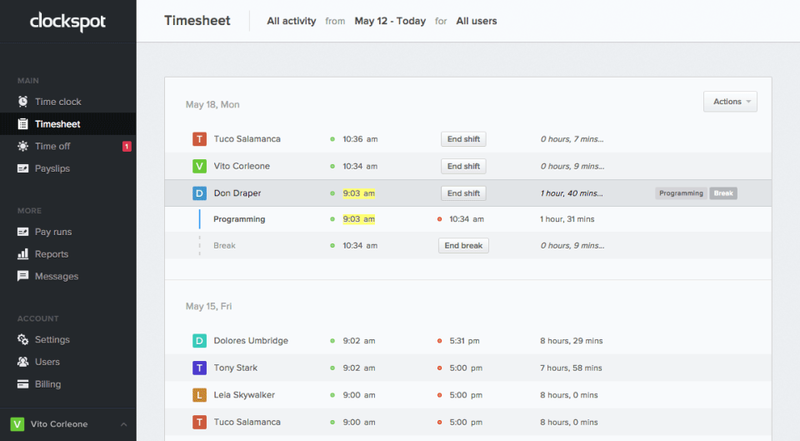 Admin controls are simple to use and make it a light duty task to manage users and timesheets. Can export time. Cons: Required to pay for admin users even if they are salary and do not need to clock in. The features of our version are very basic and would not work if you needed more management controls. 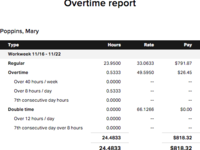 Overall: Easy time clock for admin local and remote. Cons: This App says it uses Geo Location to verify the whereabouts of an employee, But the "Geo Location" said my employees were several states away. I called Clock Spot so fix the issues... No response. I Emailed Clock Spot to fix the issues... NO Response. I Emailed and Called.... NO RESPONSE. Again they charged the account timely, and they also made sure to charge .05 for every employee that clocked in but ZERO customer service. I am moving on Clock Spot. Comments: I was so pleased with Clockspot. Suddenly employees started telling me that when they would call the sign-in number it would have a fast busy signal. Believing that the problem was with my carrier (especially since we had experienced so much rain), I contacted my carrier who indicated that I did not have a problem on my line. My carrier attempting calling the number and received the same fast busy signal. I reported this to Clockspot and they said that they knew that the problem was not with their carrier because they had thousands of employees calling in daily and I WAS THE ONLY ONE CALLING ABOUT A BUSY SIGNAL. I called my carrier a second time, same results. Same response from Clockspot. I called my carrier today, a third time. My carrier attempted to call the number using several telephone providers and then they tested the line and the response that my carrier received back was that it was a non working number. I have left two messages with Clockspot but have not heard back from them. I am positive that they will respond by saying the I AM THE ONLY ONE CALLING IN ABOUT A BUSY SIGNAL - EVERYBODY ELSE IS GETTING THROUGH. I'm done. 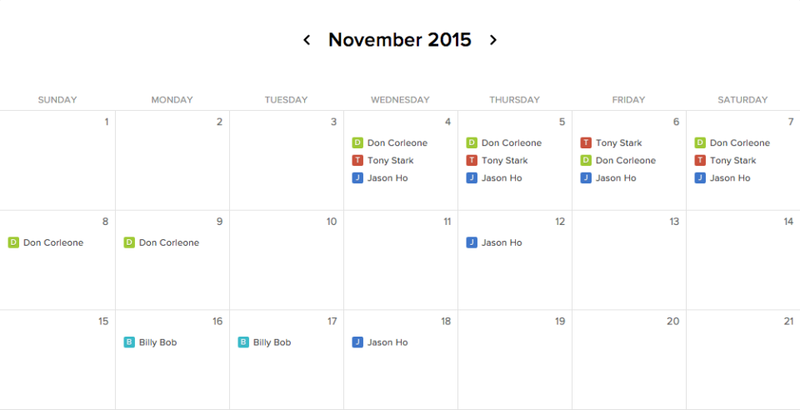 The ability to set tasks for people is awesome! 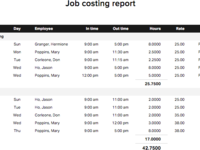 Pros: I like that I can generate a payroll report and see the calculations of it. I like that the ability to send am message to someone that they did a great job for that day or anything else that happened is a great way to notate a day and a worker. Cons: I do not like how the summary of the overtime shows up. It seems a bit dated. I think that the design and the look can use some updates and a change to keep it interesting, it helps while doing accounting.